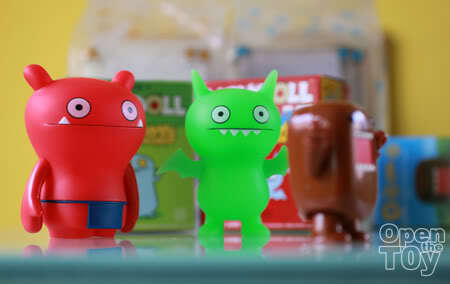 The last toy I bought that day was a 2 inch Domo-kun (どーもくん)! Domo is a mascot of Japan's NHK television station but later grew popular even in United States. I missed him out during STGCC09 and when I saw him that day, I have to get one for myself. 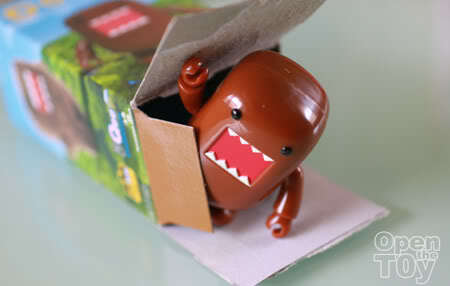 Domo is breaking out of the Box! Like most figure, the original maker's logo can be found on the sore of it's feet. 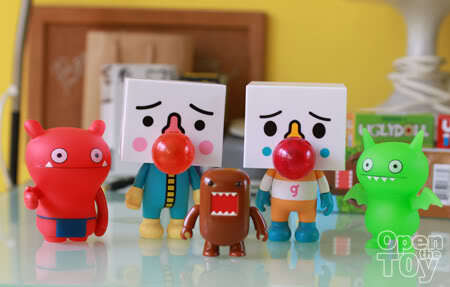 Compare to the other toys I got from that day, Domo is way shorter than them but Domo has great charisma. 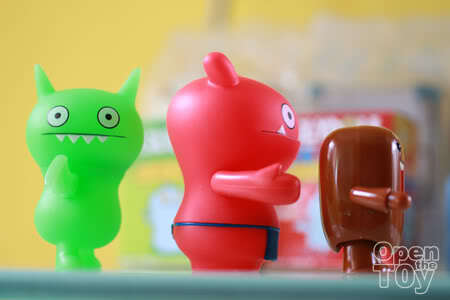 Look Domo-kun is doing a dance. Will the rest join in the dance? It's working. 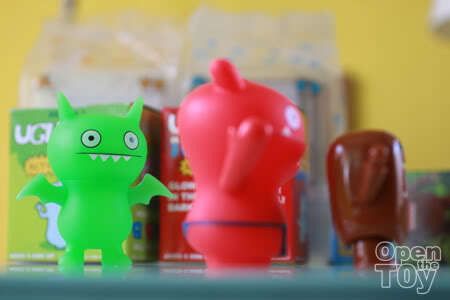 Wage started to join in to mimic Domo. Will Ice-Bat also follow? Well that's wrap up all the 5 toys I got from my visit to Play Imaginative. Ice Bat is definitely my favorite of the bunch. Love your photos, sharp and clear!! I know the Ice-bat have a big fan base now. LOL You can get the Ice-Bat here. Thank you. I used a Macro lens for these shots. My wife like Domo a lot too. Entertaining show inserts on okto channel. 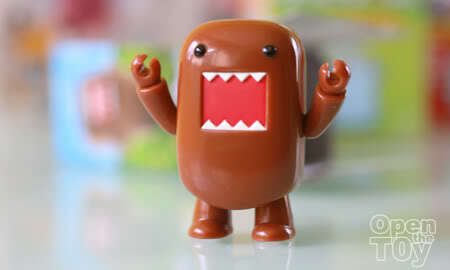 Domo is so cute! I like it the most out of the 5! my vengeance is very close... my next post will b my second designer toy... i hope u like "him", but he’s not cute (at least not in the normal sense...) i’ll try to avoid that "he" eat ur precious and desirables pieces (kjakjakajkjakajkajjkajkaja...) in d other hand, i barely notice that there r 13 hours of difference between u & me !!! Domo + your crisp pics + dance = poison !! Very tempted to get him now. 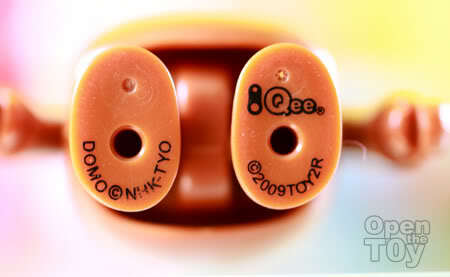 You mean this Domo Qee is available for sale in ILUMA?? I can't wait to get my hands on one!! finally pal, pls take a look on my new pet... =O !!! I think most ladies like Domo! Yes at illum play imaginative singapore has it. I am glad you love the youtube video. Domo has a heart of Gold.